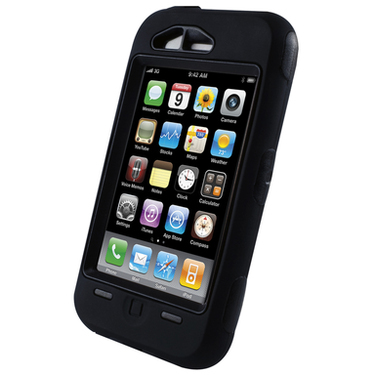 The Defender Series cases are some of the most rugged cases on the market today. With three separate layers of protection, the Otterbox Defender keep your phone secure and durable. Layer 1: Clear Protective membrane over the front of the phone. The Defender series has been put through several environmental tests, such as the Drop and Shock, Water Protection, and Dust Protection. The Drop tests was tested with the phone being dropped from waste height, 3 feet, and has protected the phone every time. As the case won’t make your phone water proof per say, it will on the other hand make it a little more water resistant than without the case. And the dust protection makes it so dust won’t enter in sufficient quantities to interfere with the standard operation of the phone. 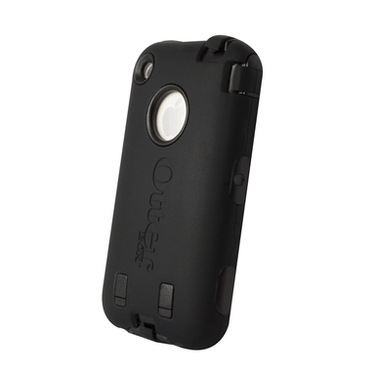 The OtterBox Defender Series™ for iPhone™ offers stylish and sophisticated protection in 3 layers. First, a thin, clear membrane covers your Touch Screen to help prevent scratches and dings. Second is a hard, strong Polycarbonate skeleton that surrounds your device. Wrapped around all of this is a Silicone skin that absorbs bump and shock. Included with the case is a ClipStand holster.